Waterproof Breathable Windproof waist lenght Soft Shell jacket. 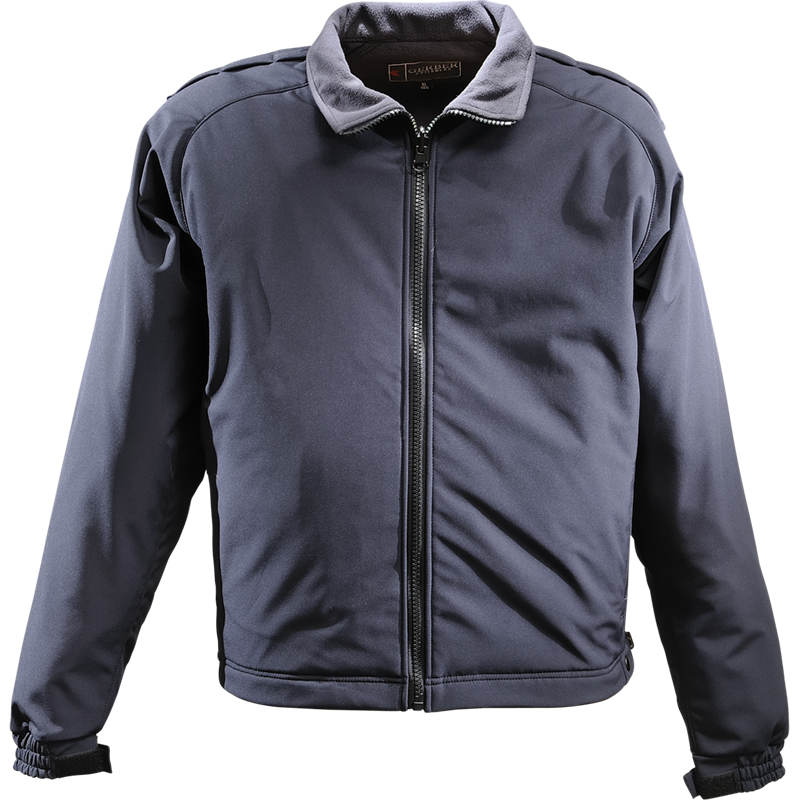 Interchange reversible front zipper allows this light weight jacket to be used as a thermal liner in a variety of outer shell jackets. Zippered hand warmer pockets plus concealed inner zipper pockets. Side equipment zippers, elasticized draw cord back waistband with adjustable barrel clips and segmented mic strips on the shoulders.